Business professionals appreciate the many features of our meeting space including complimentary wireless Internet access, natural lighting, and tiered style meeting rooms, which are great for training seminars. Having just the right size meeting space for your sales meeting or training session is one of our top priorities. It is our responsiblity to make your meeting as productive as possible. Contact the sales office to lock in your meeting dates. Whether you're planning a memorable family reunion, a 50th anniversary bash or the event of the year for your group, we can accommodate your needs. 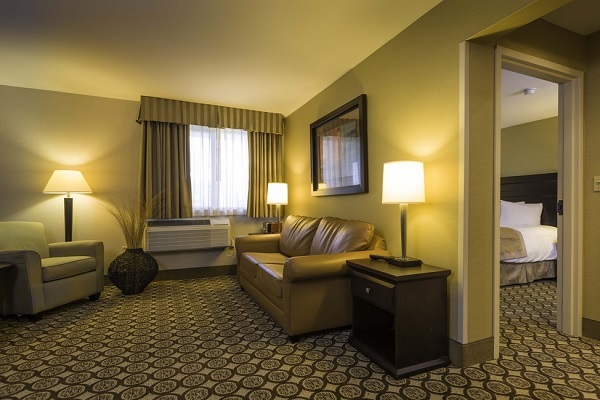 With key meeting features in addition to complimentary shuttle service (within two miles of the hotel) to many dining, entertainment, and shopping spots plus our complimentary internet access and parking, your group is sure to find a great value at the Best Western Plus InnTowner Madison. 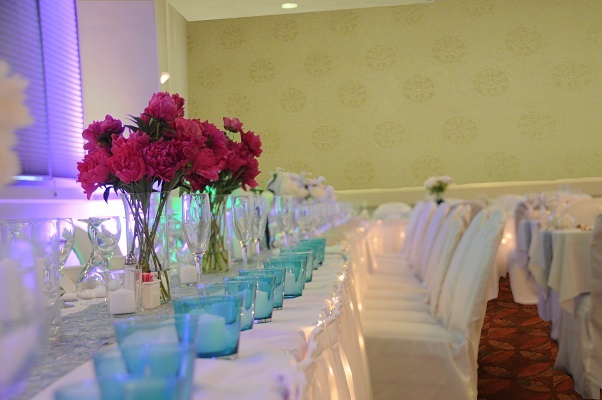 A wedding celebration that can be featured in our main ballroom is sure to garner all the attention that we can possibly provide, on your special day, to ensure an elegant and memorable event. From start to finish, our professional wedding staff will help you make the right choices, and when your big day arrives, you can rest well knowing that your guests will be warmly cared for and that every detail has been covered. To learn more about weddings, click here. Meeting space is available for government groups of all sizes. Offering competitive rates as well as a host of other common-sense amenities that include space for breakout sessions and flexible group meeting space, you'll be glad you made the smart choice for your next meeting. Special menus have been created to stay within your budget. You always receive more value at the Best Western Plus InnTowner Madison for outstanding meeting and events. In addition to meeting space for corporate groups, weddings, social events, government meetings, or any gathering imaginable, groups will also enjoy our comfortable, spacious rooms (and suites with a separate bedroom), as well as free high-speed Internet access, on site business center and complimentary shuttle service (within two miles of the hotel). We'll even assist groups to create a block of rooms especially for their group when booking 10 or more rooms. Indulge with our daily complimentary full hot breakfast buffet. Our heated indoor pool is another "plus" during the winter months. Plus, everyone feels more than welcome in spacious common areas where they can socialize, relax and experience the real connections that truly make a difference. When groups come together at the Best Western Plus InnTowner Madison, great things happen. Tiered style meeting room to accommodate up to 40 people comfortably.